A 3D display device is capable of conveying a stereoscopic perception of 3D depth to the viewer. In this technology the basic requirement is to present offset images that are displayed separately to the left and right eye and later both of these 2D offset images are then combined in the brain to give the perception of 3D depth. 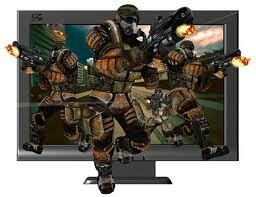 This is a type of 3D display in which different image is provided to the viewer’s left and right eyes. This technology is developed on the basis of principles of stereopsis and the examples of this technology are anaglyph images and polarized glasses. Stereoscopic technologies generally involve special spectacles. This is a modern method of generating 3D images and there are different ways of generating an auto stereoscopic image. These type of display technologies use optical components in the display and it do not involve any spectacles. The optics split the images directionally into the viewer’s eyes, so the display viewing geometry requires limited head positions that will achieve the stereoscopic effect. These displays provide multiple views of the same scene and each view is visible from different range of positions in front of the display. Examples are parallax barriers and specular holography. Volumetric displays use voxels and they include multi planar displays, which have multiple display planes stacked up and rotating panel displays. This is also one of the modern methods used to develop 3D images and this method is used by recent televisions developed by many companies. This method works by placing images from two cameras, one for the right eye and one for the left, in alternate frames of a film. The film is then shown at 48 frames per second and it is viewed through the glasses that rapidly open and close. It is the method used to generate holographic interference patterns and these holographic display devices are able to produce a light field identical to that which would emanate from the original scene, with both horizontal and vertical parallax across a large range of viewing angles. 3D display is becoming very popular these days, due to the lively experience they give for the viewers.